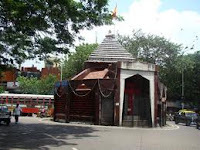 Here is Some information about Dader Hanuman Temple in Mumbai Maharashtra india. 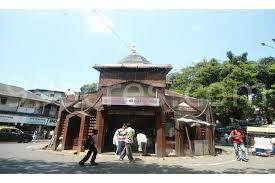 Accordingly under the initiative of Probodhankar Thackeray the temple for Sri Maruti was built during the year 1920. Small Sri Maruti murtam was installed under the banyan tree and the temple was built. 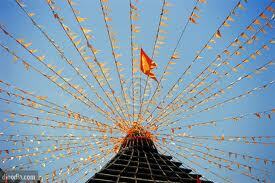 The lord, Sri Maruti could be seen from the entrance itself. One can see people traveling in the bus peeping through the windows to have dharshan of Sri Maruti. This temple of lord Maruti attracts a large crowd during Tuesdays and Saturdays. 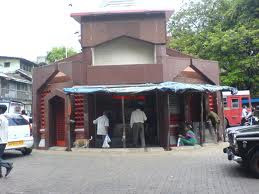 People from all walks of life and far-off places make it a point to visit this temple and have dharshan of Sri Maruti who weed-away their worries. 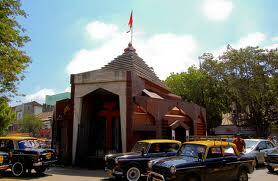 Today the temple is managed by the trust which was registered in the year 1952. Till fifty years back banyan trees used to line on either side of the present Bhavani Shankar Road. Especially the areas from kabutarkahana towards SK Bole Road use to have banyan and pipal trees lineup closely. May be it is one reason pigeons were seen in large number. 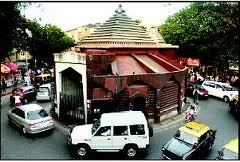 The biggest banyan tree was in the next junction of present Bole road and NC Kalkar road. Though banyan and pipal trees had its own place in the minds of people, this particular tree had drawn the attention of many of the prominent members of the society of that time. The sanctity of the place felt by the leaders’ prompted them to have a temple for Sri Maruti built under the banyan tree. 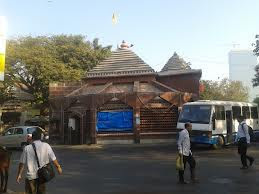 By Road: Road Distance or driving distance from Dadar to Hanuman Temple At Jsw Ispat Steel Ltd is 78 kms (49.00 miles). For customizing your travel journey you might consider adding some stop over points or adding some night stops. By Rail: The Nearest Railway Station is Dader Railway Station. If one recites hanuman chalisa at night, he/she is able to get the divine protection of Lord Hanuman and all his/her obstacles are removed.